Ascension NOW! is a community of Light. We are a Circle of Unity and Oneness, of Victory, of Truth. We are an outflow from the Spiritual Realms of 100% Pure Being and into the worlds of form. We are our God Self having a human experience, and therefore we are One Body, One Common Light that Manifest in Infinite Colors, Taste, Forms, Feelings, Creations and Love. We are the Body of Love. The Body of God. Joining the Community of Ascension NOW! is joining the community of Life. The Community of the Ascended Realms manifest into the physical, deep into the four lower bodies of planet Earth. Our Ascension is NOW! Do you choose to BE? If so – BE Presence NOW! And you are a member of the Community of God. Perfection in BEing. Love IS your neighbor IS your Self. 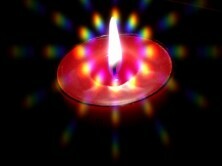 And NOW IS, IS the Light Manifested within and within. Within and without which we find when we look within. Life is MORE in our Presence of Being. Life is MORE through our coming together and claiming the World for God. Claiming the World for Divinity. Claiming the World for the Divine Mother. This is your Age Divine Mother in you. Divine Mother in me. Divine Mother in Nature. 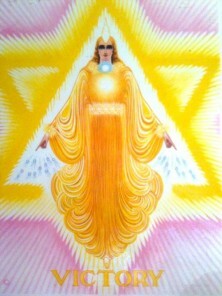 Divine Mother in Ma-ter. The Age of the Mother is the Age of the personal personality of God. The Love of God is Manifest Truly in the Ma-terial realms. The Light of Ascension pours Forth into this planet. Into those who choose to Be open to the Light. The choice is All Ways our own. The Free Will of humanity is a gift that not be taken away by God. And by our own Free Will we choose to surrender the seperate will, the will of seperation, to the Will of Oneness. Together we Create the Community of Light that IS the Victory of the Ages. The Great Work is Done. The Great Work is One. The Great Work is Won. Ascension NOW! Ascension ONE! Be.